Marvel’s Spider-Man picks up a lingering thread from the previous episode and moves the background plots forward. This episode surprised me as I fully expected things that were dealt with in this episode to linger a while longer. Two major things are dealt with with the first being the investigation into Harry Osborn proving him innocent meaning he can return to Horizon High. This felt somewhat unceremonious as the show did nothing with it other than have it be an excuse for Norman to create Osborn Academy. With Alistair Smythe accepted to Osborn Academy as of this episode there is an opportunity missed to have Harry find out the truth about who framed him while working with him. This can still happen but there will be less urgency associated with it now that the investigation has been resolved. 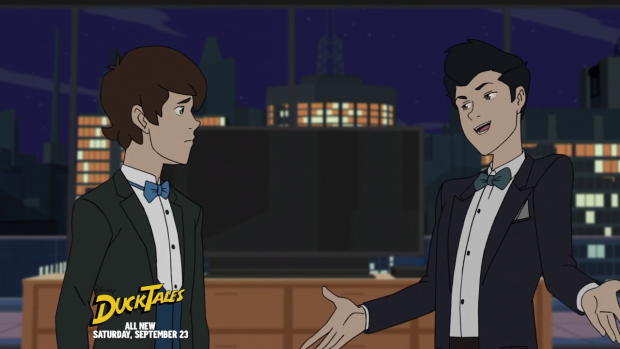 Peter and Harry being at rival High Schools is preserved when Harry listens to Norman and decides to stay on at Osborn Academy. The scene where Norman convinces Harry to stay at Osborn Academy is great as it shows how shrewd Norman is. He puts the idea in Harry’s head and manipulates the conversation to the point where Harry feels like he has decided on his own despite the fact that he has controlled the situation and got the outcome he wants from it. Harry has no idea that his father is controlling him and with that control will likely come some kind of corruption. I find Peter and Harry’s friendship to be very interesting as it is starting to crumble even at this early point in the season. The effect is very gradual at the moment as it basically amounts to Harry being frustrated with Peter’s tardiness at best and non attendance at worst. This frustration seems to abate very easily for now but I can see it becoming compounded over the coming episodes especially if Norman is trying to establish a clear rivalry between Horizon High and Osborn Academy. Harry’s hatred of Spider-Man will only compound the rift that is slowly growing between them. The other plot that accelerated faster than I expected is the Raymond Warren/Jackal story. This episode sees him rejected from Osborn academy for the same reason he was rejected from Horizon High however Norman Osborn seems interested in the results of his latest genetic experiment. Their conversation also suggests that Raymond did something to the spider that gave Peter his powers. This is further backed up by him saying that he finds Spider-Man to be very familiar. Raymond’s secret identity as the Jackal is revealed to Gwen, Peter and everyone else by the end of the episode and he is arrested. I expected this to develop for longer as it remains unclear why he was so eager to work for Horizon High and Osborn Academy other than the suggestion that he enjoyed experimenting on teenagers. Based on what we’ve seen that doesn’t appear to be the case so it stands to reason that he had a grander plan that has now been ruined and must change accordingly. What that will change to is anyone’s guess and how this character will be used in the future is also an unknown. We also only know that he became the Jackal but not why he did and whether that altered his brain chemistry in any way. There is lots to deal with that I suspected would be developed gradually as his plan continued in the background but that doesn’t appear to be the case. It’s not a bad thing but it is surprising. One thing the episode did excellently was the impact this revelation had on Gwen. She is faced with the revelation that he Uncle isn’t the man she thought he was and has to deal with the fact that a man who inspired her to be the person she is was lying to her. It’s a deeply personal betrayal and Laura Bailey’s performance reflects that wonderfully. Peter is able to relate to her because he was so close to his own Uncle to a similar degree so he understands what she has lost even though the details of that loss aren’t the same. He points out that her Uncle wasn’t necessarily a bad guy but was misguided instead. It’s a touching moment that definitely brings these characters closer together as kindred spirits. My guess would be that the show will head down the romantic route with these characters but I like that it is taking its time getting there for now. 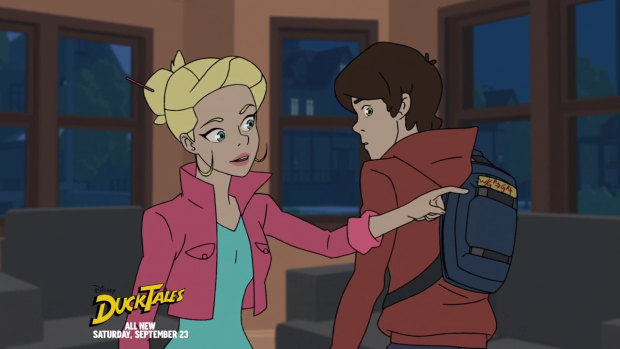 The family angle certainly strengthens their common ground and the lingering threat of the Jackal makes for a more interesting personal struggle for Gwen with Peter potentially being caught in the middle. The show doesn’t do quite as well with the other major villain in the episode. 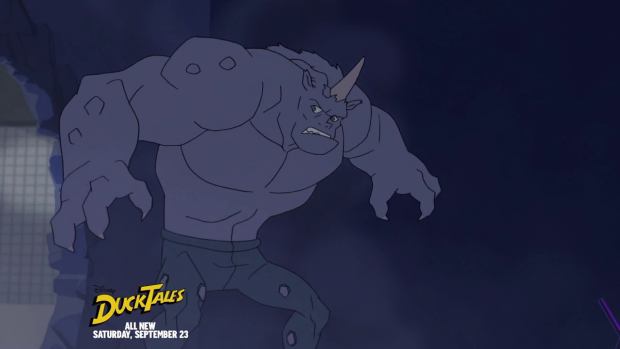 Aleksei Sytsevich (Matthew Mercer) was the student infected by Raymond Warren’s serum in the previous episode and mutates into the Rhino here. I can see what the show was going for in making the Rhino a sympathetic character since he starts off as an innocent student who was unknowingly experimented on but this was only his second appearance and the first to give him any sense of character so any emotional connection is lacking other than the obvious general tragedy of someone being mutated into something uncontrollable. The intended specific connection to Aleksei as a character isn’t possible considering his limited screen time. I really liked the opening sequence where Peter battled another one of the Spider Slayers piloted remotely by Alastair Smythe as his audition for Osborn Academy. It works so well because Peter uses his intelligence to ultimately solve the problem by doing calculations on the fly to figure out the amount of force he needs to apply in order to propel the exploding robot away from innocent people. It’s a good way to combine his powers and intelligence while furthering the theme of the scientific method being at the root of the show. It also further Alastair Smythe as a potential villain albeit in a much smaller way. A school dance allows the show to attempt to exploit the “awkward teenage years” angle. Peter suggests it as a joke and it ends up happening so the stereotype of scientifically inclined students being resistant to such social occasions kicks in and a limited amount of hilarity ensues. It’s pretty by the numbers such as Peter having Aunt May try to show him how to dance -very similar to Spider-Man: Homecoming– and the general awkwardness at the dance before the Rhino attack. 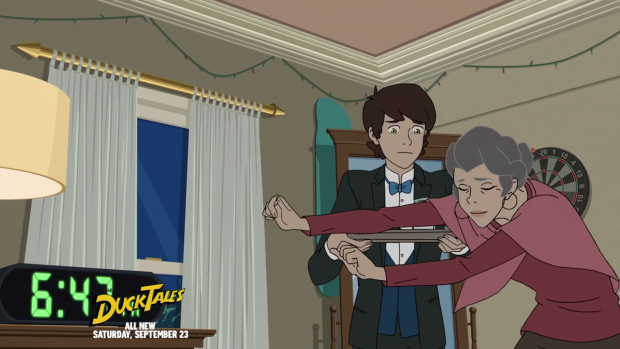 It’s good that the show remembers to ground things in relatable teenage problems but it needs to do a little more to be memorable. A solid episode that isn’t quite as strong as other outings due to some issues. The inclusion of a school dance should have been a good opportunity to explore the awkwardness of teenage social interactions and it does try to do this but it doesn’t really work due to it feeling almost completely by the numbers. It also suffers in the way it handles Aleksei’s transformation into the Rhino thanks to limited work done on the character to establish him as someone that should have been invested in. The emotional resonance to his tragic transformation falls flat as a result. The episode does a good job moving along some of the continuing plot lines. Surprisingly Harry is found innocent much quicker than I expected and is offered the opportunity to return to Horizon High. He refuses thanks to Norman being deliciously manipulative and the rift between him and Peter is given further opportunity to continue growing. I did expect this to continue for longer than it did and now I feel that it will lose momentum now that Harry will learn the truth after being found innocent. The apparent resolution of the Jackal plot was another surprise but handled nicely thanks to Gwen’s personal connection to him and the feeling of betrayal she has to deal with. It allows Peter to relate to her and for them to grow closer. It’s also a really nice moment. This show continues to build on its potential but there are lingering issues that need to be ironed out.